Taste test: Sweet onion taste. "Too much powder and a little on the salty side," was one opinion. "Better than Lay's," was another. When these chips were a Chip of the Day, the consensus was that these are very, very good chips. 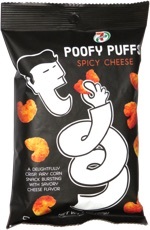 Many people noted that they are better than Lay's. 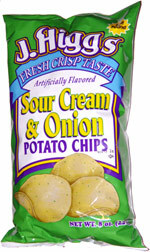 Smell test: Traditional sour cream and onion smell. Trivia: These are made in Canada.